At TransparentCareer we love helping MBAs further their careers, be it with our platform, or through helping people pursue their education. That’s why we recently held a contest for a $1,000 scholarship to help a member of our community with paying for their MBA degree. We’d like to congratulate our member Jelece on winning the scholarship contest! 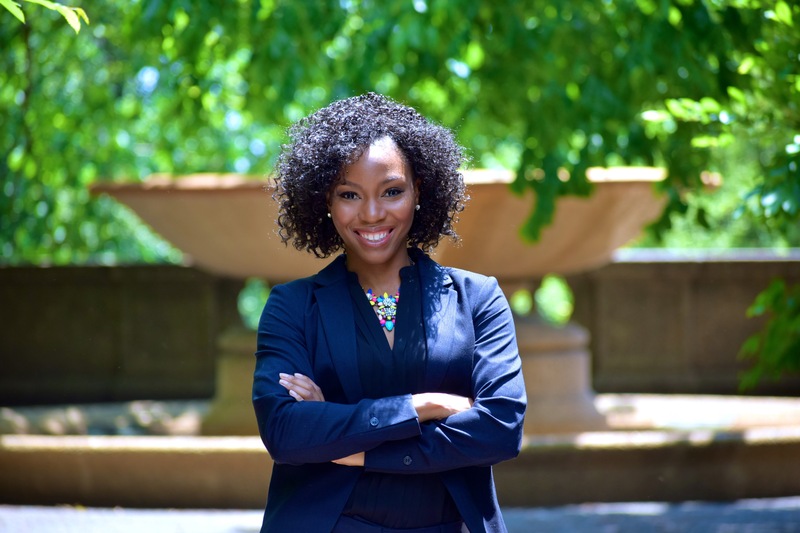 We took a second to talk to her about her career goals, why she’s getting an MBA, and how she uses TransparentCareer. Jelece -Thanks for taking the time to speak with us today, and congratulations on winning the TransparentCareer Scholarship! Why don’t you start of by telling us a bit about yourself. My pleasure! I was born in Queens, NY and raised in south Florida. I currently live and work out of the Washington DC area doing technology consulting for federal agencies. This fall I am excited to join the Wharton MBA Class of 2019! I have spoken to a number of colleagues over the years who absolutely love their jobs and have an MBA. I began to hear similar themes and stories from people I admire and recognized the positive outcomes of their MBA experience. I view the MBA as more than a degree; it is a transformational experience where you can develop leadership skills and gain business knowledge not just from textbooks but from peers and professors who have lived the experiences. I’m looking forward to expanding my network with people from different industries and backgrounds and exploring the world with my classmates! What have you been doing prior to an MBA? Was there any sort of “aha!” moment that led you to getting one now? Prior to IBM, I worked at ExxonMobil, Texas Instruments, and Children’s Healthcare of Atlanta in information technology, product testing and process improvement roles. I oversaw system integrations, managed the development of applications, and worked to improve the patient experience and performance of a hospital. At IBM, I consulted government agencies primarily on analytics and application development focused engagements. I don’t know that I had one specific “aha!” moment that prompted me to consider going back to school. I have always had a passion for health and wellness having multiple friends and family members who have suffered from chronic or hereditary diseases over the years. I wanted to be able to better position myself for opportunities where I could combine my engineering background with business to make a real difference in the healthcare industry. For me, getting an MBA is about taking time to invest in myself, take risks, understand the business of healthcare, and gain a global perspective. How did you find out about TransparentCareer? I heard about TransparentCareer from MLT, or Management Leadership for Tomorrow, a nonprofit that equips underrepresented minorities with the skills to become top management leaders. TransparentCareer was one of the many resources they shared with us in an email blast. What have you used TransparentCareer for? I initially looked at it for consulting career data to get an idea of the firms in the industry and potential compensation. I intend to continue using it as I explore career opportunities for next summer and after graduation. Thanks for your time Jelece! Thanks for being part of our MBA community, and congratulations again on winning the TransparentCareer Scholarship! If you’re like Jelece and want to learn more about consulting, check out our article on top consulting firms here. Or if you also have a passion for healthcare, take a look at our guide on that. Are you interested in more data? Sign up for a free TransparentCareer account and get access to all of the career data you can handle. Find out about compensation, work-life balance and more, all at top companies, and all from MBAs like you. Did we mention that it’s free? Sign up here.